How Hard Is The CPA Exam? Passing the CPA Exam is a major milestone on the way to becoming a CPA – and Gleim knows how to get you there better than anyone else. The original self-study CPA Exam review provider, we’ve helped accountants pass over 1 million CPA Exams. Here you’ll find key resources to help you on your journey. We help you navigate the CPA Exam application process here. Learn about testing windows, scheduling (and rescheduling) your CPA Exam. How Much Does the CPA Exam Cost? See what to expect for fees including when and how to pay. Hard may be an understatement. There’s no other exam like it—see what we mean. The best intro to the CPA Exam you’ll find anywhere, hands down. Tap into our wisdom of 40+ years helping candidates pass. To become licensed as a CPA, you must meet the requirements for your jurisdiction. How to choose a jurisdiction for your CPA license if you don’t live in the U.S. The CPA Exam is notoriously difficult. Nearly half of the people who take it fail. But there’s no way around it if you want to be a CPA—you must pass the CPA Exam to become a certified public accountant. Tap into the tools and knowledge you will need here. Each section is a 4-hour test. You must pass them all with a score of 75 within 18 months. See an overview of the CPA Exam sections. See how to cut through the noise and evaluate CPA review providers. With the right preparation, you can pass the CPA Exam. We’ll show you how. You’ll be glad someone told you to watch out for these things when you take the CPA Exam. The CPA Exam changes yearly, and it pays to stay up to date. See what’s in store next. The pass rates tell a story. See our analysis to plan for your greatest chance of success. Just what goes into determining your score? See where to direct your study efforts. We know it’s hard to wait! Learn when to expect your CPA Exam score. TRY GLEIM CPA EXAM REVIEW MATERIALS! Even try our audio lectures on the go! See how Gleim helps you pass the CPA Exam today. Meet our instructors and see how Gleim supports your study with video. Register to access now. Get a leg up while you’re still in school ­­­­— and earn a complete CPA review system! We want to bring CPA within reach for all aspiring accountants. Learn about our student discounts. IS CPA RIGHT FOR YOU? What can you expect to earn as a CPA? Find income by years of experience and location. Tap into news and real-life stories about passing the CPA Exam and becoming a CPA. Tips to help you study whether still in school or working full time. Plan your test timing with a strategy to find your ideal schedule. Little-known tips that can help you better grasp each question. Tips to narrow down the right CPA Exam answer more often. Wise advice to maximize your scoring potential on MCQs. Our guidance on how to tackle TBSs and improve your score. Learn strategies for managing your CPA Exam time. It’s important! A few more things you can do to position yourself for success. While you’re studying, make sure you follow these tips to work toward passing the CPA Exam. It’s one of the hardest exams in the world. Whether you’re still in school or years have passed since you’ve had to study, you’ll do well to heed this advice. Your CPA study plan needs to take into account life demands. The most common study plan lets you pass the CPA Exam in six months to a year, studying a couple hours a day. That said, you may need more time—or you may need less. We’ve known candidates who’ve passed the CPA Exam in a few short months as well as some who have needed years. The important thing is to know what YOU need, and not what someone else has done. Planning to pass the CPA Exam in six months may be doable for you. You could take one section at the beginning and another section near the end of two consecutive testing windows, budgeting approximately six to seven weeks of study per section (e.g., exam dates of January 2, February 14, April 1, and May 15). You might want to study 22-26 hours per week—that’s about 3-3.5 hours of study a day—to stick to this schedule. the CPA Exam in one year can work for candidates who’ve been out of school for a while and need a refresher on many topics. If you’re considering a study plan to pass in one year, aim to pass one section per CPA testing window. This gives you 10-12 weeks to prepare for each section, studying 13-15 hours a week (1.5-2 hours per day). If you don’t have many obligations and can study eight hours a day, you might be able to pass the CPA Exam section fast. But this won’t be practical for the vast majority of folks. We don’t recommend cramming. One of the best ways to make sure you pass the CPA Exam fast is to pass the first time. Don’t set an unrealistic study plan or you’ll get discouraged. The other part of your study plan will be a list of the topics you will cover. The Gleim CPA Review system conveniently organizes topics into study units. You can use the outline of topics to plan your study schedule. Tip 2: Eliminate distractions when you study. Don’t try to study and multitask—you’ll be wasting your time. The only exception is using study-on-the-go options like listening to audio lectures when you’re driving, exercising, traveling, cleaning, etc. Tip 3: Plan to squeeze in study time while on the go. Carry materials with you in case you have downtime. It’s helpful to have in mind what you need to study or do next before you head out the door, in case you wind up with a few minutes to spare. You can pull out your book, pop on your headphones, or call up CPA Exam course materials on your phone. Listen to audio sessions while you’re driving. Watch a video lecture while you’re waiting for an appointment. Tip 4: Use diagnostic quizzes before each study session. The purpose of a diagnostic quiz is to quickly drill down to what you already know and what you don’t. Completing a diagnostic quiz before diving into each study unit of your CPA review lets you focus your study time most effectively. Tip 5: But don’t spend too long on diagnostic quizzes! You can successfully determine your weak areas for a study unit with a diagnostic quiz in as few as 20 questions. Keeping the quizzes short and specific to each study unit lets you separate your work into manageable sessions. Some courses require a gigantic quiz of 400+ questions, which addresses all the exam content at once. This type of “quiz” could take hours to finish and will delay your chance to jump right in and begin studying. Diagnostic quizzes that you can complete in one sitting are less draining and let you dive into the right material as soon as you identify it. Tip 6: Drill down into the areas you struggle with. Once you know your weak areas, you can begin to build them up by going back to the basics. You don’t need to keep quizzing yourself just yet. You need to learn what you don’t know so you can recall it when you need to. Focusing on your weak areas is the best way to study for the CPA Exam because you’re only studying what you need to study for as long as you need to study it. If you study everything, you’re studying more than you need to and wasting a lot of time. You’re also risking burnout, which may leave you too mentally exhausted to pass the CPA Exam once you actually sit for it. Focusing on your weak areas when you study is the best way to pass the CPA Exam. It is also a proven study strategy at the foundation of the Gleim learning system. 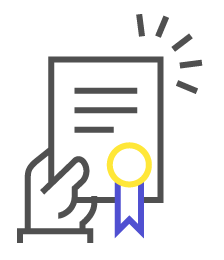 In 40+ years, Gleim has helped candidates pass more than 1 million CPA exams by guiding them through these steps, and we’ve designed our SmartAdapt™ technology to take that guidance to the next level. Our adaptive CPA course creates a study plan tailored specifically to your learning needs. It constantly adjusts to your performance so you’ll be totally prepared for passing the CPA Exam. Tip 7: Write out flashcards and notes—by hand. Writing down material helps it stick in your memory. Tip 8: Explain a concept in your own words to make sure you completely understand it. To pass the CPA Exam, you must be able to understand, remember, analyze, evaluate, and apply all the content in the CPA Exam blueprints. You can’t get away with simply memorizing the definitions and formulas. You must have a solid grasp of the concepts and be able to use them. Tip 9: Improve your recall with practice quizzes. Taking quizzes is a form of practice testing, and practice testing is one of the top study methods. Practice testing can dramatically improve your recall and works for both simple questions (like multiple-choice questions) and more complex questions (like task-based simulations). Practice testing also requires less time than many other study methods, like rereading or self-explanation. Research supports this. One study published in Psychological Science found that taking a practice test immediately after reading material resulted in a 52% increase in long-term retention. You should take plenty of quizzes throughout your CPA review to ensure you really are improving your weak areas and that what you’re learning is entering your long-term memory. Tip 10: Don’t try to memorize wording in practice questions. It’s highly unlikely that the content you see in a practice question will be exactly the same as what you’ll see on the CPA Exam. The CPA Exam does not test your ability to memorize answers; it tests how well you understand concepts and topics. So, direct your mental effort toward understanding the topics the practice questions address. You won’t acquire the necessary knowledge unless you concentrate on the exam topics tested instead of memorizing questions. Tip 11: But do familiarize yourself with CPA Exam question wording. Study using lots of practice questions. The Gleim test bank includes thousands of questions that have been provided by the AICPA and used on real-life CPA Exams. Learning how the AICPA presents their questions and tests different skills will improve your question-reading skills for the CPA Exam. 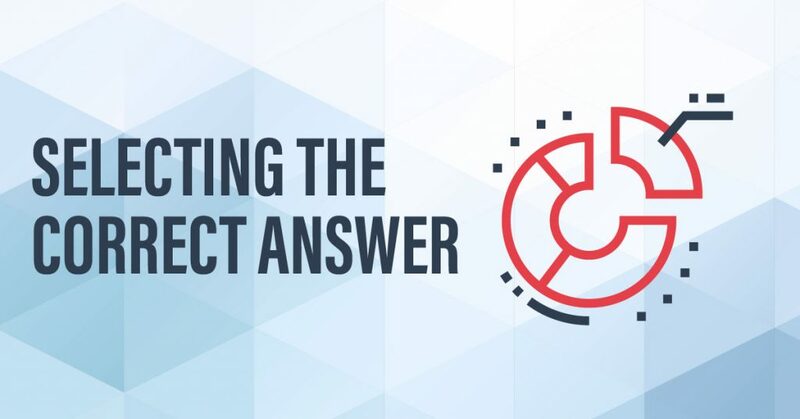 Determining what a question is trying to test will help you pick the best answer. Tip 12: Practice in an environment just like the CPA Exam. Only perfect practice makes perfect. That means practicing in as close to the real CPA exam environment as you can. This is super important because with just over a minute to answer each multiple-choice question, the last thing you want is to waste time on exam day figuring out how to operate something you could have prepared for. We’ve made a point of doing this right down to the screens you see at the start; the tools you’ll use like timers, spreadsheets, and calculators; how you’ll access the authoritative literature—everything. 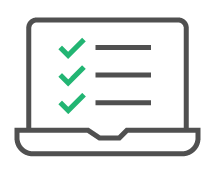 We are confident that no other review provider even comes close to matching the test environment as well as we do. Tip 13: Start preparing for the CPA Exam while you’re still in school, if you can. If you’re studying accounting and know you’ll probably want to take the CPA Exam at some point in your career, consider starting while you’re still in school. You’re already in study mode and the CPA Exam material overlaps with your accounting courses. The longer you wait to take the CPA Exam after you’re out of school, the harder it can be to come back to the material you’re not using directly in your job (and few jobs will cover all areas on the exam). Tip 14: Choose the CPA review course that fits you best. It can be hard to figure out which CPA review course is right for you. Researching course options online gets confusing pretty fast. But there are some things you can do to help make this decision. First, figure out your study style. Then, compare apples to apples. Learn more in our guide Choosing the Right CPA Review Course. Tip 15: Then, use the study materials that best suit your learning style. Once you’ve picked your CPA review provider, then lean on the components of the course that work best for you. 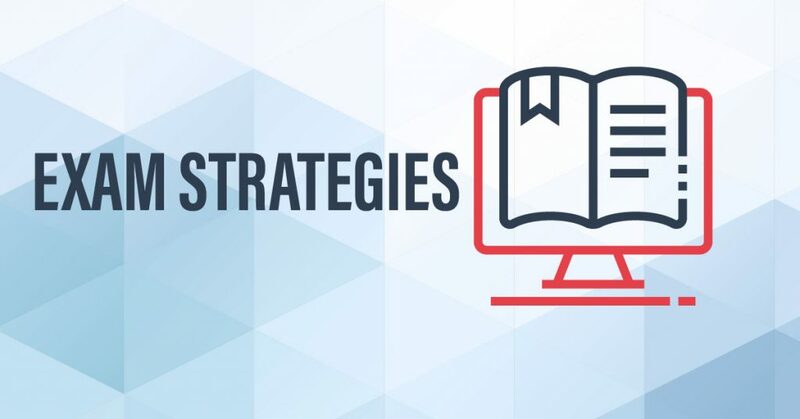 A review course that offers a variety of CPA self-study materials will help you find the most effective way for you to grasp the information and get it to stick. 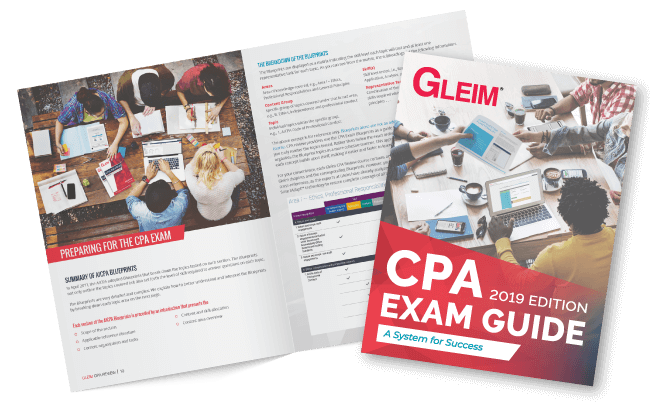 Using Gleim, you can begin with content outlines that let you learn as fast as you can read—or go straight to CPA video lectures that offer more thorough explanations, real-world examples, and a fresh perspective on difficult concepts. The professor-led video lectures of Gleim Premium CPA Review divide each topic into several short videos so that you can move at your own pace. For even more learning flexibility, you can hone your weak areas while walking or doing chores with audio lectures. When you attack your weak areas from all angles with different review materials, you sharpen your understanding of the exam content. Yes, how you schedule the CPA exam can impact your likelihood of passing! Consider these strategies when you plan your testing schedule. 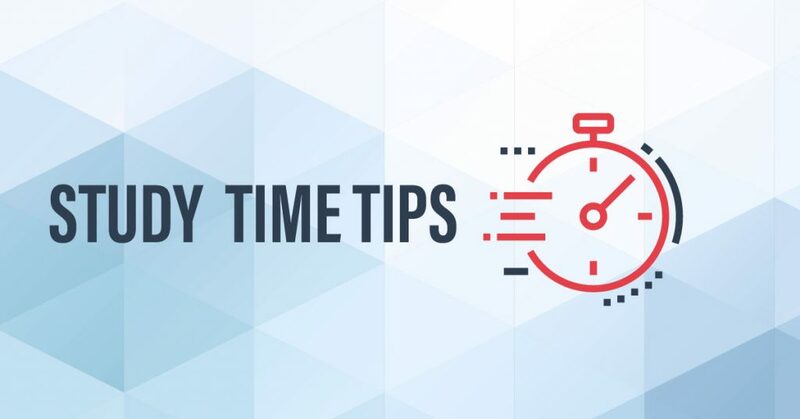 Tip 16: Stagger each CPA exam section with equal time between tests. The best scheduling strategy is to stagger each exam section. Give yourself equal time between each testing appointment. For example, if you want to start preparing for the CPA exam in February and complete the exam by August, you would schedule your exam sections as follows: one in early April, one in mid-May, one in early July, and one at the end of August. You would have about six weeks to prepare for each section individually. Many like to schedule one section per testing window in a year. Tip 17: Give yourself enough preparation time for each section. Every candidate’s experience will be different. We’ve seen candidates pass with as little as 80 hours of study time per section, and we’ve seen others need 180. The study time you need can be influenced by factors such as how familiar you are with the material, how long it’s been since you earned your degree, and how long ago you last studied for a serious exam. Tip 18: Take the CPA Exam before any upcoming major exam changes. The CPA Exam goes through changes regularly. When there are bigger changes, it can create uncertainty. This makes it slightly riskier to take the CPA Exam because there will be issues to figure out that could affect scoring. That said, Gleim always updates its CPA Review course to match the latest CPA Exam content, so you’ll be covered in your study materials. It’s a no-brainer—you need to make sure you understand the CPA questions. But it can be harder than you might think! These strategies are absolutely critical to passing the CPA Exam. Tip 19: Read the question stem carefully. What’s the stem, you ask? It’s the part of the question that contains the details of the question. It will contain the facts and figures you need, but it may also include some information you don’t. Tip 20: Try reading the last sentence of the question stem first. You can try reading the last sentence of the question stem first, as this can often point you toward which parts of the stem are most important. Tip 21:Ignore the answer choices until you completely understand the question. Don’t let the answers influence how you interpret the question! Tip 22: Uncover the requirement of the question. Passing the CPA Exam may require strategies you’ve never have had to call on before in your studies. Here we’ll equip you with some strategies to increase your chances of selecting the correct answer to exam questions. Tip 23: Answer the question before you look at the answer choices. Only one answer option is the best choice, though more than one could be partially correct. If you formulate the answer first, you can quickly zero in on the right answer and discard the others. Tip 24: Pay attention to small details when you read the answer choices. Even if an answer choice appears to be correct, you still need to read the remaining answer choices! Each choice requires consideration because you are looking for the best answer, and more than one may be technically correct. Tip 25: Watch out for distractors! Some MCQ answer choices are distractors that are meant to appear correct. In computational MCQs, the distractors are carefully calculated to take advantage of common mistakes. Double-check your computations if you have time. Tip 26: Analyze each answer choice as if it were a true/false question. Try treating each option like a true or false question and comparing it to the answer you believe is correct. This technique can help you boil your choices down to black and white. Tip 27: Consider how the answer would play out in real life. Apply the different answer choices to real life and consider the consequences of each potential action. A CPA is responsible to guide others down the most advantageous path, so start fine-tuning your judgment now. Your score is based on the number of correct responses. You will not be penalized for answering incorrectly, so you should never leave a question blank. Tip 29: But, don’t agonize over any one question. Stay within your time budget and don’t get caught up in trying to figure out a question. Tip 30: Make an educated guess and flag the question. You have a couple things to do when you’re unsure of the best answer. Begin by making an educated guess. The CPA Exam does not penalize you for answering a question incorrectly. Never leave a question blank—a 25% chance of selecting the correct answer is better than a 0% chance. If you come to a CPA Exam multiple choice question that has you stumped, follow these steps for making an educated guess. You have a 25% chance of answering correctly by guessing blindly, but you can improve your odds. Step 1: Rule out answers you think are incorrect right away. For many MCQs, you can eliminate two answer choices right off the bat. Step 2: Speculate what the AICPA is looking for and/or why the question is being asked. Step 3: Of the two remaining, select the best answer. Step 4: If they are equally appealing answers, remember that your first guess is usually the most intuitive. When you eliminate the two most wrong answers first, you’ll have better odds when you make your “educated guess” between the two remaining. Tip 31: Go with your first guess. When all else fails, go with your first instinct. When you don’t know what the correct answer is, your first instinct is usually the best guess. Don’t waste time flipping back and forth between your options. Tip 32: Answer CPA Exam questions in consecutive order. Don’t jump around or you may miss questions. Just stay on track and plow through the questions in order. Tip 33: Don’t get stuck on pretest questions. Pretest questions don’t count toward your score. The AICPA always includes some questions they are considering using on future CPA Exams. This lets them collect data to gauge whether it’s a good question to use. Because these questions are untested (you’re the guinea pig here! ), they may be more difficult or throw some people off. The trouble is, there’s no way to tell for sure if it’s a real question or a pretest question. Don’t allow an odd question to throw you off! Tip 34: Check your question status list before submitting a testlet. Do not click the Submit Testlet button until you have looked at the question status list at the bottom of each MCQ screen. Verify that you have answered every question. 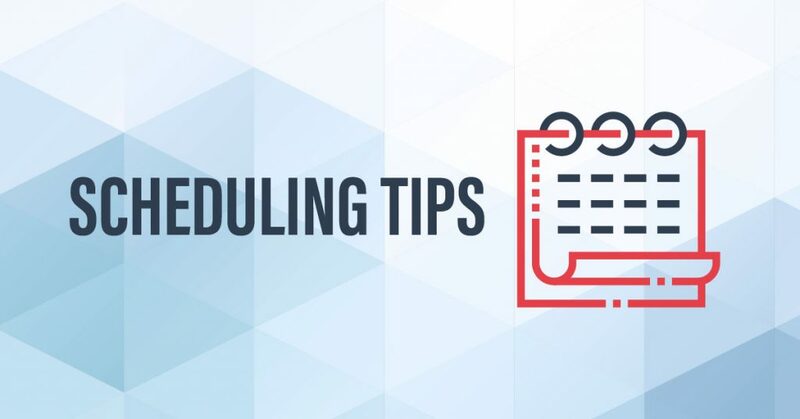 Stay on schedule because time management is critical. Return to flagged questions to finalize your answer choices if you have time. No matter which CPA Exam section you’re taking, you need to be prepared for CPA Exam multiple-choice questions (MCQs). The CPA Exam contains five or six dozen MCQs per section. While you’ve encountered multiple-choice questions before, you’ve probably never seen any like those on the CPA Exam. You’ll have to adjust your thinking and your study strategy if you have your sights set on passing the CPA Exam. You should practice MCQs A LOT. Get hold of the best CPA Exam test bank on the market and apply these study tips as you practice. On test day, you’ll need a specific strategy to handle MCQs, so your practice should be preparing you for that. To maximize your scoring potential for the MCQs in each CPA Exam section, use these tips. When a candidate misses a question, it’s usually because of one of these common mistakes. Make sure you don’t make these mistakes, too. Tip 35: Don’t bother memorizing wording in MCQs. 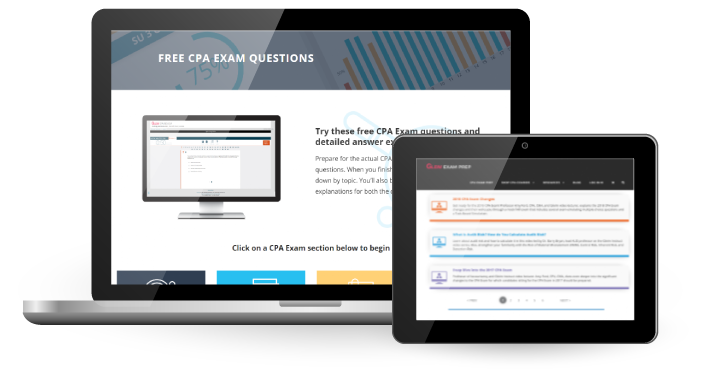 While your CPA review course can introduce you to the format and feel of the CPA multiple-choice questions, no one can predict the exact MCQs you will receive on the CPA Exam. It’s a waste of time to try to memorize the wording. Instead, focus your effort on learning the concepts well. Tip 36: More than one MCQ answer may be right—you must select the best right answer. When you look at your answer options for a CPA multiple-choice question, several of the options may seem correct. The CPA Exam is an intensive test that aims to fully assess your accounting knowledge, so it may very well be that more than one of the answer options is viable for the situation. However, only one of the answers is the best answer, and that is the one you need to select. A CPA should only choose the course of action that is the most advantageous to the client or company—passing the CPA Exam shows that you can discern this. Tip 37: Review the answer explanations for MCQs you get wrong. After you complete an MCQ quiz, review the answer explanations for the questions you missed so you can discover where you went wrong. “I would not be a CPA today if it were not for the professor that introduced me to Gleim when I was ready to lose all hope of becoming a CPA. After numerous attempts at the exams spanning over 6 years, and spending thousands of dollars on exam fees and study courses, Gleim made the pivotal difference that was necessary for me to pass the CPA exams. I spent countless nights highlighting pages on a book, but not really understanding what I was highlighting. Gleim doesn’t take a coloring book approach to studying. 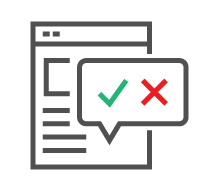 You don’t learn by highlighting words on a page, rather, Gleim gives you the no-nonsense materials you need and forces you to learn from mistakes on multiple-choice questions. All the questions come with detailed explanations for the right answers and why wrong answers are wrong, which is truthfully what helped the most. I would encourage anyone looking for CPA Exam study materials to look no further than the Gleim Review System”. Tip 38: Review the answer explanations for MCQs you get right, too. You can also learn from reviewing answer explanations for questions you get right. This lets you confirm that the answer was correct for the reasons you thought. The answer explanation may point out a new way to think about the topic that builds up your understanding. This all helps you retain your knowledge and boost your learning. Tip 39: Give yourself 30 minutes to practice 20 MCQs. To build good habits for answering CPA Exam multiple-choice questions, limit the time to complete a 20-question practice quiz to 30 minutes. This will help you prepare to complete exam testlets of 30 CPA multiple-choice questions in 45 minutes, which is what you’ll get on exam day. Tip 40: Answer every MCQ on your first pass. In your first pass through a quiz, you should answer every question. Spend just over a minute per MCQ max. The idea is that you can use the time remaining to review questions you were unsure about. Tip 41: Take a practice MCQ quiz every day. Consistent practice is so important, and short MCQ quizzes are a great way to work in study time that packs a powerful punch. Even during trips, holidays, and vacations when you might not have time for an entire study session, working through daily practice MCQ quizzes will help keep your mind in study mode. You can access the Gleim CPA test bankfrom your phone or tablet, making daily practice totally doable. After taking practice MCQ quizzes for weeks and weeks before sitting for a CPA Exam section, you will be very prepared. However, you may encounter some MCQs that rattle your confidence. Don’t let that happen! If you do, you may lose your focus and things can go downhill from there. Breathe, relax, and remember what you know. Your CPA Exam training will come through if you stay cool and trust your instincts. You can establish instincts by studying with the best test bank of CPA Exam multiple-choice questions available. The Gleim Mega Test Bank is the largest and most realistic CPA Exam test bank on the market, so learn more about how it can prepare you for MCQs and TBSs! Sample our test bank with these free CPA Exam questions today. You will encounter task-based simulations (TBSs) on every section of the CPA Exam. A task-based simulation is a CPA Exam question type that requires you to complete four to eight tasks using the information provided. They can be tough to wrangle. But no worries, Gleim has you covered. With a powerful practice bank of more than 1,300 TBSs—twice as many as any other provider—we make sure you’re prepared! 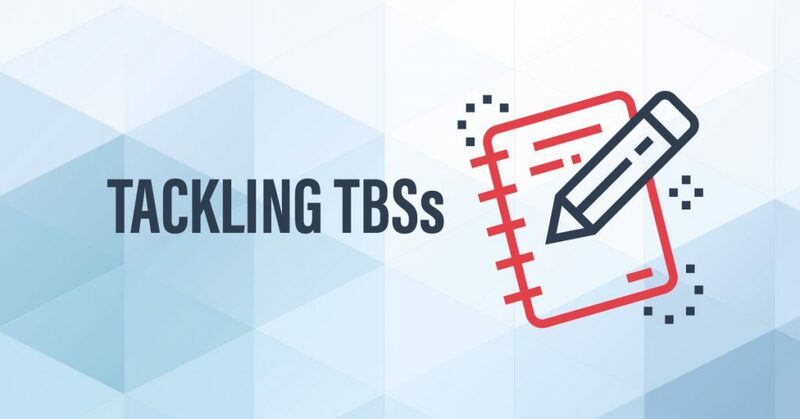 Here’s our guidance on how to tackle TBSs. Tip 43: Each CPA Exam section features 2-3 TBSs. Each section of the CPA Exam contains testlets of task-based simulations (TBSs). The number of TBS testlets as well as the number of TBSs within each testlet are the same for each exam section except BEC. Knowing how to work through the simulations is key, so prepare to maximize your TBS testlet scores with the following suggestions. The CPA Exam does its best to present situations you would encounter as a CPA and then evaluate you on your response. One of the ways it simulates real-world scenarios is by giving you questions with information and data that you have to analyze. 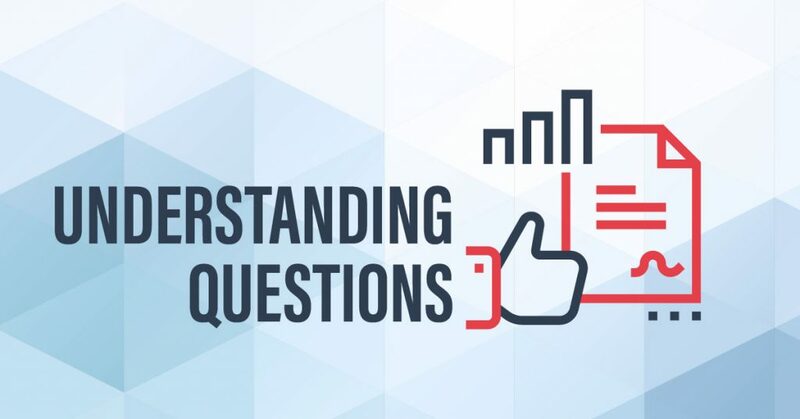 These are called constructive response because you need to build your answer using several things at your disposal: your application-level cognitive skills, content knowledge, and authentic real-world inputs provided like charts, graphs, and documents. Task-based simulations are constructive response questions with information presented either within the question or through exhibits that look like documents or communications you’d have in real life as a CPA. Tip 45: You will have simulated research tasks too. In the AUD, FAR, and REG exam sections, you will also have to complete a Research task, which requires you to research the relevant authoritative literature and cite the appropriate guidance as indicated. You will not have to complete a Research task in BEC. Tip 46: You will have access to authoritative literature during the CPA Exam. Here’s how to prepare to use it effectively. You should get used to how you’ll access authoritative literature on the CPA Exam. The Gleim CPA Review course provides access to the authoritative literature in the same way you will use it on test day. This includes the search function. The AICPA also provides free access to AICPA Professional Standards, FASB Original Pronouncements, and FASB Accounting Standards Codification for six months when you schedule your exam. However, this access does not mirror how you will access it on the exam. We match the real CPA Exam experience more realistically than any other provider—in every way. You can see for yourself! Try the Gleim CPA product demo today. Tip 47: If you’re already working as an accountant, here’s where that comes in handy. Passing the CPA Exam is just one of the CPA requirements. Earning about two years of experience in public accounting is another requirement. You really can use your accounting experience to help you pass the CPA Exam, if you’ve already been working. The projects you accomplish on the job can expand your insight into the TBSs you must complete on the exam. As you work through practice TBSs like Document Review Simulations, recall times in which you performed the tasks the TBSs expect you to do, such as reviewing and revising an audit request list or analyzing tax depreciation worksheets in order to correct a letter to a controller. Additionally, think about your interactions with practice TBSs when you receive new project assignments at work, as you may find that the process of taking on the real-world task will help you correct your common TBS mistakes and refine your approach to this type of exam question. But remember, using your work experience to understand CPA Exam content works well in some instances, but not every instance. The CPA Exam often deals in theory, and the application of that theory in a work environment can call up differences. You should also use your time on the job to enhance your comprehension of the core audit process, which is a significant part of the AUD CPA Exam section. You can compare the scenarios in the exam questions to your knowledge of what auditors do on a daily basis. Tip 48: Spend only 18 minutes on each TBS. Budget your time so you can finish all TBSs. Keep a keen eye on the time. It’s more important than you can appreciate until you’re under the gun. Allot 18 minutes on each TBS to ensure that you stay within your budgeted time. Tip 49: Spend the first few minutes reading the directions and scanning each TBS. Spend no more than three minutes previewing the TBSs by clicking through the navigation arrows at the bottom of the screen. You will be familiar with the layout of the TBSs and prepared to jump right in if you’ve been reviewing with Gleim TBSs under exam conditions. Tip 50: Read all exhibits first. Read all exhibits (e.g., financial statements, memos, etc.) associated with the task you are working on before you attempt to answer the simulation. You will have to answer multiple questions in each TBS. Always make an educated guess if you are unsure of the answer. Set a reminder for yourself to go back if you have time and confirm your answers by clicking the flag icon by the task number at the top left of the screen. The AICPA has been placing more emphasis on including pertinent information in the exhibits to assess candidates’ ability to analyze documents. Gleim has you covered with a powerful practice bank of more than 1,300 TBSs—twice as many as any other provider! Tip 51: Do not skip any of the questions within a task. Tip 52: Guess if you don’t know the answer! There is no penalty for incorrect answers, so do not move on without at least entering your best guess. Tip 53: Use Excel to avoid simple arithmetic errors. Tip 54: Spend any remaining time wisely to maximize your TBS points. Ask yourself where you will earn the most points. Move from task to task systematically, reviewing and completing each one. Focus specifically on any TBS you flagged. Tip 55: Don’t let TBSs intimidate you. Task-based simulations can be quite complex. However, you don’t need to let them intimidate you. You just need to learn the exam content and practice answering them. You might have noticed that we’re pretty detailed with our time tips. You need to make sure you’re organized—precision in your time management can sometimes make the difference between a pass and fail on the CPA Exam. It’s that tight. You’ll have four hours to complete all the testlets in any given CPA Exam section. You can’t start a new testlet until you have closed the current testlet. And you can’t go back to a testlet you have closed. That means you need to allocate enough time to finish—and review—each testlet. That amount of time should vary according to the type of testlet. Each CPA Exam section has a different total number of questions. You need to know the specific amount of time to allot to each exam question per section. You cannot begin a new testlet until you have submitted your current testlet. And once you have submitted a testlet, you can no longer go back to it! Tip 56: Budget your time so you can finish. Know how much time to spend on each type of question. Before beginning your MCQ testlet, prepare a CPA Exam time management table. It can get complicated. Luckily, we’ve got a time management system you can use. Gleim has created a CPA Exam time management system that tells you exactly how many minutes you should devote to each testlet. We even help you know what the exam timer should say at the start and finish of each testlet, so you’ll know you’re on track! Tip 57: Click “Begin Exam” within five minutes. Or your exam will be over. When you sit for a section of the CPA Exam at the Prometric testing center, you will begin the exam by entering your Launch Code on the Welcome screen. If you do not enter the correct code within five minutes of the screen appearing, the exam session will end. First, accept the policy statement, and then review the information screen. Be sure to click the “Begin Exam” button on the bottom right of the screen within the allotted five minutes. Failing to do so will terminate the exam, and there will be no option to restart. Tip 58: Allocate your time on the CPA Exam like this (includes chart). The key to maximizing CPA Exam time is becoming proficient in answering all types of questions in an average amount of time. 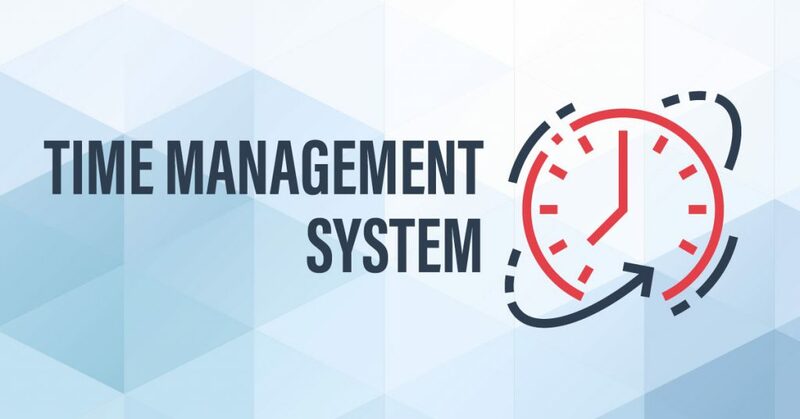 When you follow this time management system, you will have just the right amount of extra time left that you can use at the end (2-17 minutes, depending on the section). The table below shows how many minutes you should plan to spend on each testlet for each section. Tip 59: Here’s how to allocate time for MCQs on each section. All sections have two MCQ testlets. Each testlet contains half the total number of MCQs for that section (36 per testlet for AUD, 31 per testlet for BEC, 33 per testlet for FAR, and 38 per testlet for REG). 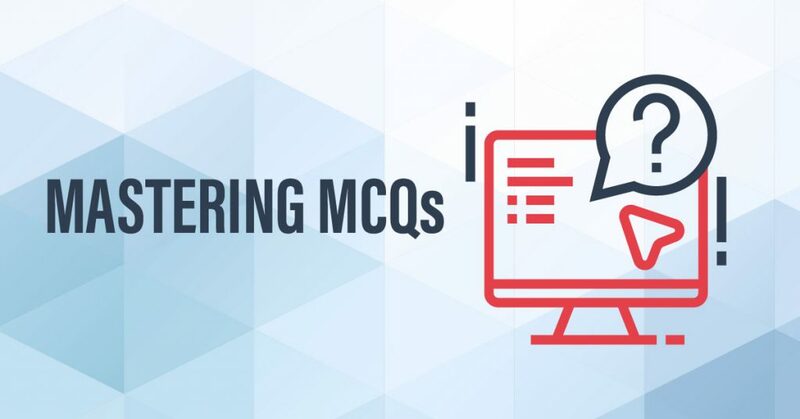 With your 240 minutes of testing time, we recommend that you spend 90 minutes to finish the AUD MCQ testlets, 76 minutes to complete the BEC MCQ testlets, 82 minutes to knock out the FAR MCQ testlets, and 94 minutes to get through the REG MCQ testlets. Based on the total time of the exam and the amount of time needed for the other testlets, you should average 1.25 minutes per MCQ. To answer MCQs this quickly, you’ll have to practice. A lot. But if you can get to a point where you can answer MCQs in less than 1.25 minutes consistently, you can store up extra time for review. With so many MCQs on the exam, a few saved seconds on each can add up to several minutes. 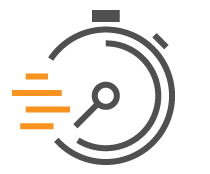 Tip 60: Here’s how to allocate time for TBSs and WCs. The final three testlets presented in AUD, FAR, and REG will contain eight TBSs total: two in Testlet #3 and three each in Testlets #4 and #5. BEC will have four TBSs in two testlets, then a final testlet of three WCs. We recommend spending about 18 minutes on each TBS. On BEC, budget 25 minutes for each of the WCs (20 minutes to answer, 5 minutes to review and perfect your response). Focus on how much time you have, NOT the time on your watch. Tip 61: Focus on how much time you have, NOT the time on your watch. The exam screen will show hours:minutes remaining. Again, focus on how much time you have, NOT the time on your watch. Using the times in the Time Allocation table, you should begin each testlet with the following hours:minutes displayed on-screen. Tip 62: Write your time system on your note board at the exam. You’ll get a note board at the exam center. One of the first things you should do is write down the times to help you stay organized. Remember, the CPA Exam timer only counts down total time, so it’s up to you to stay organized and keep yourself on track. If you develop a shorthand for hours:minutes, it’ll be easier to write down the times before you start. You can refer to your chart to see how much time to spend on each testlet. As you work through the testlets, you can monitor your speed and adjust as needed. Tip 63: The exam clock starts to show the seconds when you have two minutes left. The only help you will receive with timing during your actual exam is a countdown of the hours and minutes remaining. When there are less than two minutes left in an exam section, the exam clock will begin to include the seconds. By this point, you should be doing your final review. Each of the testlets on the exam is independent, and there are no time limits on individual testlets. So you’ve got to budget your time effectively to complete all five testlets within the four hours allotted. Tip 64: Practice with time limits. Make sure to practice time management strategies as you prepare for the CPA Exam, too. Applying your CPA Exam time management system during your studies is as important as answering practice exam questions. This will let you get comfortable with the CPA Exam time limits in advance. If you get in the habit of answering practice questions within these time constraints, you’ll be ahead of the game when you sit for the CPA Exam. As we say here at Gleim, only perfect practice makes perfect! The AICPA has been placing more emphasis on including pertinent information in the exhibits to assess candidates’ ability to analyze documents. Tip 65: Take a test drive to get familiar with your Prometric experience. For $30 through Prometric, you can take a practice run at the site where you’ll take the CPA Exam. See more ways you can prepare for test day. Tip 66: Keep a clear head. Stay cool and trust your instincts. Often the first answer you think is right is the one you should choose. Tip 67: Develop practice quiz habits that will support you on the CPA Exam. Use all the tips here today whenever you practice. Read this advice frequently just before a practice or study session. Tip 68: Build your support network, and get help when you need it. You’re going to need support, and it will be helpful to connect with others who understand what you’re going through. Sometimes you need help to see where you’re going wrong, to get motivated, and even to celebrate the small (or big) victories! Talk to others about what you’re going through. A mentor could be a great asset. Tip 69: Prepare your family and friends. You’re going to need support, and it will be helpful to connect with others who understand what you’re going through. Your friends and family might not get why you’re unavailable. Prepare them so you can preserve relationships that might suffer otherwise. Remind them why you’re doing this and enlist their support in whatever ways you can. And don’t put the CPA Exam before those you care about when they really need you. You might be tempted to power on when you’re feeling low. But taking some time to recharge can actually do you a lot of good. You’ll avoid burnout, stay focused, and study more productively. See how to schedule your CPA Exam study breaks. These CPA Exam study tips and strategies will help you refine your study and get you well on your way to passing the CPA Exam. Have questions or want more guidance? Reach out to a personal counselor at Gleim today. And that number is rising quickly thanks to Gleim CPA's significant advantages over the competition. Now it's your turn to pass using the only CPA review course with everything you need for success.